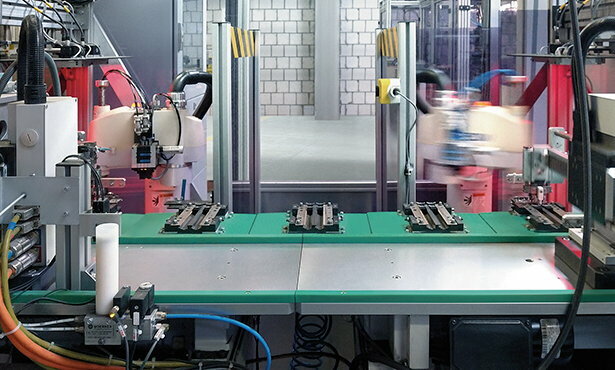 hand tools, semi-automated and fully automated machines. Our laboratories test all components of their suitability for volume production. The quality and equipment of our laboratories are of such high level that the VDE approvals and certification institute uses them to carry out their own independent tests. These include VDE and even the stringent CSA and UL tests for the international markets. STOCKO products are renowned and held in high estimation. They represent solid solutions and a multitude of applications as connectors and terminals. The growing functionality and complexity in this sector, however, limits the usage of volume-produced standard components; more and more customers demand individual applications or new designs. Such processes need know-how, ideas, and adjustment to technical and economical philosophies in a sensible manner. Together with our customers, we are concentrating our energy on the expected performance of the new product and, step by step, work out the details – the material, the surface finish, the physical properties and finally the design. For design and development, we have the most modern, computer aided systems at our disposal. With the stereolithography method for example, we are in a position to check the precision of future products with the aid of prototypes, or manufacture prototype samples for testing purposes. Before reaching marketing stages, all STOCKO products are subjected to rigorous test procedures in our laboratories to check the mechanical and electrical properties as well as the influence they may have on the environment. Absolutely essential and a decisive component in our successful connector technology, is our toolmaking capability and that takes place inhouse at STOCKO. The production tools with which amongst other things the negative forms of housings are produced are of paramount importance that quality is assured, and our design teams for electro-technical components have to adhere to strict guidelines with regard to the mechanical design of such components. All press and moulding tools are built by STOCKO according to the latest state of the art. They are central in a value producing chain that ultimately is to the benefit of our customers. Production at STOCKO is concentrated in manufacturing centres to secure the highest quality even with growing output rates. Thus the whole production of plastic parts is at our Hellenthal plant. With this location specializing on this sector, they can fully concentrate on to the highly technical requirements of those parts such as the production of a maximum number of pin count with a minimum contact spacing and the closest possible tolerances, processing special flame retarding plastic materials, usage of a wide range of materials, and a high machine output rate. For this, we rely on the most modern machines available. We compliment our fully automated moulding presses with intelligent ancillary devices and tooling from our own in-house production. With regard to production techniques and the development of new possibilities for plastic materials, we are constantly aiming for the bestpossible solutions.This is hard cast quality. Stamping technology at STOCKO stands for the highest level of economy and quality. At our production centres in Hellenthal and Andlau we produce the precision stamped parts for our various product groups both in bands and loose. For this we have the latest high-performance stamping machines with speeds of between 100 and 1400 strokes per minute and a compression force range of up to 160 tonnes. All the presses are equipped with the latest peripherals. Rationalised production stages, a high level of automation and well designed integrated process monitoring systems guarantee year-on-year increased productivity that we ensure with the latest electronic quality control. Here we produce our stamped, drawn and formed parts with downstream composite tools made in-house and precisely tailored to the process architecture. This creates further cost benefits that we can pass on to our customers. Our connector systems are assembled by STOCKO in Hellenthal (Germany) and Sokolov (Czech Republic) using fully automated processes. Here, too, we applythe STOCKO philosophy of developing and producing most of the machinery, tooling and auxiliary devices in-house. The result is a highly flexible degree of automation leading to our high quality standards, which are assured with control systems that have also been developed in-house. We give high priority to our STOCKO terminating systems, because the quality and reliability of an electrical connection is largely determined by the high levels of the terminating technology. That is why we allocate considerable financial resources to the development and production of such systems. In addition to quality, innovation and economies play important parts. Our aim is to improve the productivity of our customers by integrating our terminating machines smoothly into their production processes. Thus once more, STOCKO solutions act as catalysts and enable profitable competition. And to make sure everything runs smoothly, training is given to your staff for the various production processes, and our team of service engineers is always at your disposal with help and advice to ensure productivity all along the line. 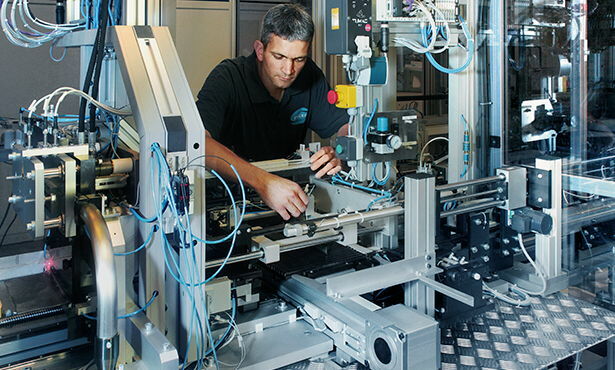 from simple hand tools, to semi-automated machines, and ultimately to fully automated modular machines with "Just in Time" functions, computer controlled, automated quality control functions, internet connections for outside diagnostic centres and the option to programme sequences of cable forms. For it is the best argument for customers’ satisfaction and a solid position in a hard fought market. This quality approach at STOCKO does not simply begin at the manufacturing stage. From the first initial contact, we wish our customers to know they are in safe hands and can rely on this also during the planning and development stages. With an application oriented design, the uncompromising selection of the most suitable materials, and strict observation of the customers’ requirements profile. International standards can only act as guidelines for us. We exceed their demands by setting our own additional standards: with our own designed testing programs, in-house laboratories, a continued striving for optimal organisational processes during all phases and a close exchange of experiences and know-how with our customers and users. In addition to this, our quality offensive goes even further in that our environmental responsibilities are firmly imbedded in our manufacturing processes.Right from the development stage of our products, we aim for the conscientious use of our raw material resources. All our plastics and metal materials are recyclable and our state-of-the-art production processes completely eliminate the use of chlorinated hydrocarbons and chlorofluorocarbons. Moreover and to avoid waste, STOCKO are using re-usable packaging systems such as blister packs, reels, and magazines. We take it as our social responsibility to integrate environmental protection in our manufacturing processes. For this reason, the plating shop at our manufacturing centre at Andlau was only recently modernized and converted taking account of the latest environmental and ecological developments. In an elaborate process, all effluents are returned to nature, purified and completely free of harmful substances. 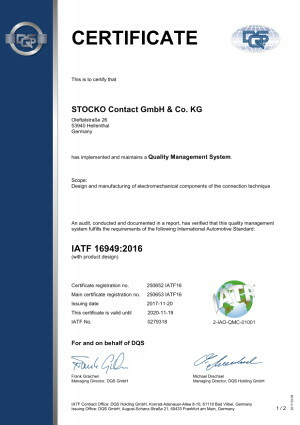 Having been awarded certification to ISO 9001, we have received approval that a quality management system is in operation throughout all areas of activity that assures a uniform high level of quality. Likewise, this is also the basis for specification IATF 16949. This certification is a prerequisite to qualify as supplier to the automotive industry. It acknowledges that the company has set up special procedures in all areas of activity and, therefore, complies with customers’ specific demands in the automotive sector. Thus and in the long-term, STOCKO increase the efficiency and safety for their customers and themselves. In recent years we have with great commitment incorporated numerous improvement processes into our company environ-mental policy and constantly expanded them. 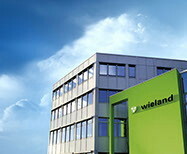 Since 2011 our factory in Andlau has met the strict requirements of environmental management standard ISO 14001 and since 2012 our factory in Hellenthal has done so too. By doing so, we commit ourselves to a far greater extent than normal to the voluntary reduction of environmental risks such as waste, waste water and emissions. We are constantly planning, implementing and monitoring our goals in this regard. For us they are a major factor in our value system. It has long been one of our corporate goals to keep increasing the energy efficiency in our plants while at the same time reducing energy consumption as well as CO2 emissions. For sustainable control and optimisation, STOCKO has developed an intelligent energy management system with which we can precisely detect any energy losses and initiate countermeasures at an early stage. ISO 50001 certification for this is for us the worthwhile supplement to ISO 14001. Whereas there energy is only a partial aspect, the focus in ISO 50001 lies on the energy efficiency of a company. With our energy management system we are, in the best-case scenario, even going beyond the strict requirements of this ISO because we can among other things increase our efficiency even without increasing our energy consumption. Service and close proximity with our customers has always been a top priority and form an integral part of the STOCKO philosophy. Of course, to discuss with our customers their specific requirements and to meet their expectations in the best possible way is part of our flexibility. We wish to offer our customers superior performance characteristics and to support them in their business activities by anticipating future requirements. Our customers shall be able to rely upon us so that they become true partners eventually. Partners, who we can assist with our know-how and comprehensive knowledge of the markets. Particularly our sales engineers and our service engineers carry this part of our philosophy outside. Moreover, an extensive network of subsidiaries, sales offices, and agencies around the world assist in bringing this principle close to our customers wherever they are. This network will be expanded still further during the next few years so that our customers can benefit from close on-site support even more efficiently. And should one of our customers ever ask if we are the right partners then something must have gone wrong from our part.